Kroonstad (Afrikaans for Crown City, pronounced [krūn'stät]) is the third-largest city of the Free State province of South Africa and lies two hours drive from Gauteng. Kroonstad was established in 1855 by the Irish pioneer Joseph Orpen, and was the first city founded after the independence of the Orange Free State. While "Kroon" means crown, this was in fact the name of a horse that had drowned in the nearby ford. A lover of animals, Orpen had witnessed the incident, and named the infant settlement in honour of the unfortunate creature. Similarly, the ford in question came to be known as Kroondrift. 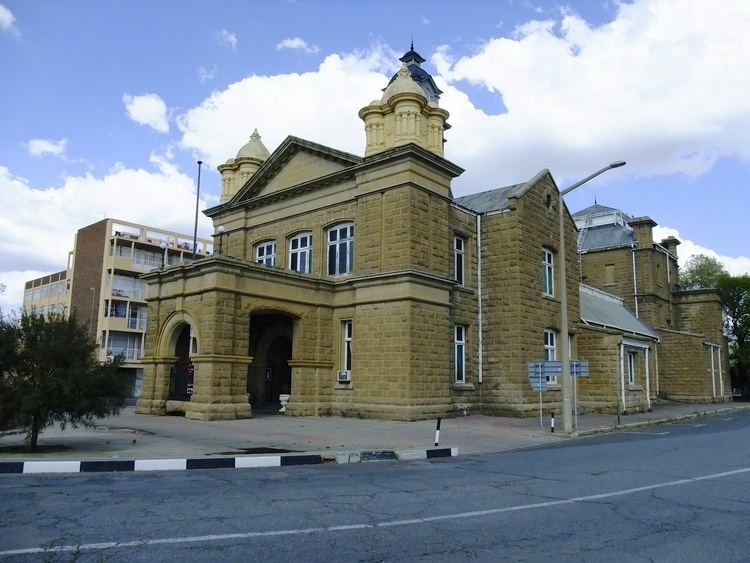 During the Second Boer War, from 13 March to 11 May 1900, the city became the capital of the Orange Free State, and subsequently the site of a British concentration camp to accommodate Boer women and children. It is the second largest commercial and urban centre in the Northern Free State, and an important railway junction on the main line from Cape Town to Johannesburg. Kroonstad is the centre of a rich agricultural district, producing maize, wheat, dairy and meat products and wool. The main industry is agriculture. The Bloemhoek Dam lies just east of the city and supplies much of its water needs. A caravan park and many more camp sites on the banks of the willow-lined Vals River (Valsrivier) are frequented by anglers and watersport enthusiasts. Leisure opportunities are plentiful in Kroonstad, where visitors can enjoy golf on the 18 hole course in the city, lion tours and interaction with lion and tiger cubs at the Boskoppie Lion and Tiger Park, fishing in the well stocked Vals River or on the Bloemhoek Dam, and boating on the Serfontein Dam. Horse riding, gliding and hiking trails are also available. Kroonstad lies directly on top of the N1, and bypasses the city to the east. Other regional roads in the city are the R34 to Odendaalsrus (south west), the R76 to Steynsrus (south east), the R721 to Vredefort (north west) and the R82 to Heilbron (north east). Kroonstad Railway Station serves the city and is located on the important railway junction from cape town to Johannesburg via Bloemfontein. Kroonstad is served by a small airport with no passenger flights. Construction is currently underway with the aim of developing it into a regional airport. Shopping in Kroonstad is characterised by typical high street shopping. The development of the new Kroonstad Waterfront mall is underway, other shopping centres in the city are Panorama Plaza, Shoprite and Pick'n'Pay centres. Kroonstad is said to be one of the Free State’s loveliest cities and lies on the banks of the Vals River, a tributary of the Vaal, roughly two hours’ drive from Johannesburg. It is situated in an area characterised by open spaces and an abundant variety of vegetation that makes it particularly beautiful. Kroonstad is a quaint city that serves as a good stop over en route between Johannesburg and Bloemfontein, lying as it does at virtually the halfway mark. Kroonstad offers an array of activities that include flea markets, a tea garden, fishing on the Vals River or at the Bloemhoek Dam, walking trails and lion tours and lion and tiger interaction at Boskoppie Lion and Tiger park. Today, as an important administrative, agricultural and educational centre, Kroonstad still boasts much of the inherent rugged beauty which led the Voortrekkers to establish the city where they did. Sporting facilities of all kinds are well catered for as the headquarters of the SA Jukskei Council has been established here since 1951. The city is rich in historical sights; several historic buildings and statues, a former concentration camp, the Sarel Cilliers Museum (although currently inactive) and other places of national interest can be found here. Kroonstad is an important agricultural service centre in the Free State with a predominantly agricultural-orientated economy served by a modern toll-road. This brings the PWV Region within two hours drive from Kroonstad as well as being accessible from the North West, Bloemfontein and the Eastern Free State. The Bloemspruit Monument 27°40′18″S 27°12′23″E commemorates those who died in the Kroonstad Concentration Camp, while the Garden of Remembrance 27°39′05″S 27°14′19″E commemorates Allied soldiers fallen in the two World Wars. A blockhouse south of city is a reminder of later stages of the Second Boer War. Stone corbelled huts, refuges for the prehistoric inhabitants of the region, occur in various locations about the city. In addition, San rock art and fossils are present in the region. By 1931, the Kroonstad municipal council had assumed a coat of arms. It was registered with the Orange Free State Provincial Administration in February 1967 and at the Bureau of Heraldry in April 1971. The arms were : Or, a tree on an island proper; on a chief Argent fimbriated Azure, a locomotive and tender Sable (i.e., a golden shield displaying a tree on a grassy base, below a black locomotive and tender on a silver stripe across the top of the shield). Originally, an imperial crown was placed above the shield, but it was replaced with a golden mural crown in the 1960s. The supporters were a black wildebeest and a blesbok, and the motto was Finis coronat opus.